A new non-emergency number to replace 999 for reporting low-level crime goes live on Monday for the first time. Hampshire Constabulary is the first force to use the 101 number but the system will be will be available across England and Wales by 2008. It is designed to ease the pressure on the 999 system by taking calls about issues like anti-social behaviour. Leicester and Rutland County, Cardiff, Northumbria and Sheffield will also run pilot schemes through the summer. 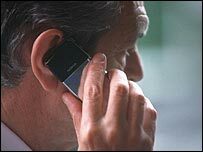 Callers to the 101 line will be charged a flat fee of 10p from both mobiles and landlines. A Hampshire Police spokeswoman said: "The service is designed to improve the delivery of non-emergency services by ensuring a better co-ordinated response by local agencies, freeing up the 999 service to handle emergency incidents." The government said the new number would allow 999 services to be faster and more efficient. Minister Hazel Blears said 10 million 999 calls had been made in 2004, of which 70% were not emergencies. Operators will be able to transfer calls to 999 if deemed appropriate.